It can be expected that a lengthy period of mourning will take place in Cuba and that his funeral will see the record attendance of many worldwide leaders, President Obama included. The US leader will probably exploit the occasion to promote the rapprochement with Cuba, likely making positive and upbeat remarks about Castro's life and legacy in order to advance his agenda of winning the islanders' support. Although President-elect Trump might seek to tweak some of the finer details relating to the US-Cuban agenda, mostly to carry through on his campaign promise to Florida's important anti-communist Cuban electorate, it doesn't look like he will totally reverse his predecessor's initiative. This is because Raul Castro will probably be much more pliable to the US' demands than he was when his brother was still alive. "I do not trust the policy of the United States, nor have I exchanged one word with them, though this does not in any way signify a rejection of a peaceful solution to conflicts or threats of war. Defending peace is the duty of all. We will always defend cooperation and friendship with all of the world’s peoples, and with those of our political adversaries. This is what we are demanding for all. The President of Cuba has taken pertinent steps in accordance with his prerogatives and faculties conceded by the National Assembly and the Communist Party of Cuba." The wise revolutionary leader in many ways parallels the Iranian Ayatollah in that both took a symbolically significant amount of time to publicly give their blessings to the diplomacy that their political representatives were conducting with the US. This was meant to implicitly convey the sense that they had their serious reservations about it, though they didn't want to backtrack on what the elected government was doing in order to not provide a strategic opening for the US to argue that "the regime is divided" by the said diplomacy. In the interests of presenting a stable and united front, Fidel and the Ayatollah threw their weight behind Raul and Rouhani's efforts, though both of the former were also smart enough to still say that they didn't trust the US just in case the talks fell through, the US backstabbed their countries, and/or Washington found some creative way to weaponize the diplomatic results in order to advance its long-running goal of regime change in Havana and Tehran. Fidel and the Ayatollah's hesitancy to immediately cheerlead for what their political representatives were doing also helped to placate what the Mainstream Media commonly calls the "conservatives" or "hardliners" in their "deep state" (permanent military, intelligence, and diplomatic bureaucracies). This faction isn't as ominous as the US media's purposely misleading labels would have the rest of the world believe, they're just firmly patriotic adherents to global multipolarity and rightly believe that the US cannot be trusted no matter what it says or does. With Fidel out of the picture, however, it's a sure bet that Raul will work on taking steps to continue the gradual replacement of his brother's "deep state" allies with his own Western-friendly "moderates", just as Rouhani has sought to do as much as he could via electoral means in Iran. The situation is much more profound in tiny Cuba, however, since Fidel was the symbolic anchor of his faction, and his passing will eventually make it all the easier for Raul to push through the changes that he wants in order to facilitate a future full-spectrum deal with the US. The only thing that can reverse this seemingly inevitable process is for Trump to come out in full force against continuing Obama's rapprochement and actually taking measures to strike an unreasonably hard "deal" (one which would deliberately be unacceptable for a proud nation such as Cuba), freeze the talks, and/or cancel them outright. This would expectedly embolden the "hardliners"/"conservatives" who endure still endure in the Cuban "deep state" as per of Fidel's ideological legacy, and they'd make their own counter-moves to restore their influence over the country in order to protect it in the face of what by then would be a return to the indisputable threat from the North. To continue with the Iranian parallel, this is already occurring in the Islamic Republic ever since and even somewhat before Trump's election, as the Ayatollah and his military-strategic backers already saw the writing on the wall that Washington indeed remained up to no good through its indirect manipulation of Daesh in Iraq and Afghanistan (Iran's Western and Eastern borders, respectively), covert military support and training for Kurdish anti-Tehran terrorists, and joint collaboration with India in fomenting Baloch terrorism in neighboring Pakistan (and which would inevitably spill over into the adjacent Iranian province of Sistan and Baluchestan). A similar process of "hardliner"/"conservative" "deep state" revival in Cuba might also occur if Havana's political leadership wakes up to the asymmetrical threat staring them in the face and removes the wool that the US deceptively pulled over their eyes. Just like with Iran, the US unwaveringly remains committed to reversing Cuba's multipolar revolutionary progress no matter what it publicly says and how it postures its position nowadays. American grand designs in the Western Hemisphere are structurally predicated and reestablishing hegemony over the strategic Cuban island that the US had once occupied and fully controlled, just like it analogously continues to endeavor in its efforts to once more dominate the former Persia at the pivotal juncture of West, Central, and South Asia. The polemics and presentation may have changed from a style of outright aggression and hostility to a more deceptive one of "rapprochement" and "mutual coexistence", though the substance inarguably remains the same, which is to undermine the US' geostrategic adversaries by hook or by crook. The Obama Administration cleverly decided to take a gamble on fundamentally rebranding the US' foreign policy and playing off of the Mainstream Media-promoted perception that America was "in retreat" and that the inexperienced and ideologically naive Obama was finally ready to unconditionally offer up strategic concessions to his country's historic rivals, which they'd "do well" to finally accept and take advantage of while the US remained "weak". As can be seen from the Iranian case study, however, this was nothing but a large-scale and meticulously crafted illusion meant to deceive the Islamic Republic and strategically disarm its suspicions that the US was really just offering up a time-delayed Trojan Horse. Washington wanted to structurally transform its target over time so that it could be infinitely easier to control and influence, and if that failed, then it would at least have been weakened to such an extent that a Color Revolution or Hybrid War could be commenced to finally cripple it from within and forcibly bring it back under the US' tutelage. Truth be told, the same thing was attempted against Russia with the infamous "Reset", but Moscow's "deep state" wised up to this almost right away and proactively took measures to crack down on regime change and other disruptive "NGOs" within its borders. The world bears witness to the fact that the US, despite having offered the "olive branch" of a "Reset" with Russia, was unabatedly fomenting another destabilization in Ukraine which would later erupt into the urban terrorism now popularly known as "EuroMaidan" and which would trigger the preplanned New Cold War. Just like the US betrayed Russia, it's also doing the same thing to Iran via the multifaceted and complementary Hybrid War machinations of Daesh, anti-Tehran terrorist Kurds, militant Baloch separatism in Pakistan, and what can undoubtedly be assumed to be increasing efforts to organize the social infrastructure for another "Green Revolution". 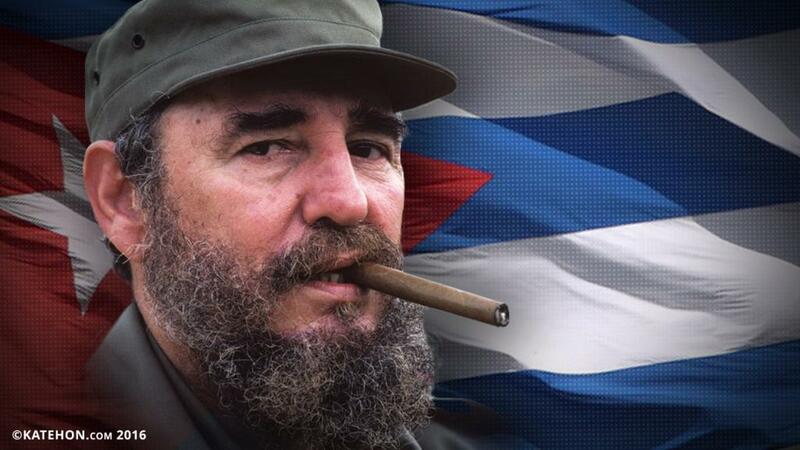 As for Cuba, the strategic situation is disturbingly similar. The US has been actively carrying out what can be referred to as "Operation Condor 2.0", which is a theater-wide regime change initiative to overthrow the multipolar leftist-socialist government's of the Western Hemisphere and replace them with pro-American right-wing governments. Obama's first coup was in Honduras in 2009, and then a similar regime change happened in Paraguay with its 2012 "constitutional coup". This whole time, Venezuela, Ecuador, and Bolivia have been facing Hybrid War unrest, with the Bolivarian Republic being victimized by this much more than the rest and with a visibly greater intensity. Argentina's government peacefully changed in 2015, though only because the US structurally preconditioned the masses by manipulating the economic situation through "vulture fund" aggression and other asymmetrical destabilizations (including informational) meant to undercut popular support for Kirchner's political successor. Then, as everyone is obviously aware, the US pulled off the dramatic "constitutional coup" in Brazil earlier this summer. Given this proven track record of regime change all across the hemisphere, it's utterly naive to believe that Cuba - which is much weaker than Venezuela on all counts -- will somehow be an "exception" and escape the US' unipolar wrath in spite of having been Washington's longest-running regional adversary. What's taking place right now is nothing less than a theater-wide regime change operation, pretty much an "Arab Spring" but completely retooled for Iberoamerica's unique conditions and based on the US' covert Cold War history of Operation Condor. As it continues to make "progress" all across the region, the US will actually be weakening the multipolar support that undergirds Cuba's international security. It's not yet known exactly which methods the US will seek to deploy against the island nation and whether they would be phased pro-American structural change like in Myanmar, a "constitutional coup" like in Paraguay and Brazil, a Color Revolution/Hybrid War like in Ukraine, and/or perhaps some other sort of regime change anti-multipolar turmoil. What is certain, however, is that Cuba was never taken off the "hit list" to begin with (despite Obama's rhetoric and public initiatives) and that the strengthening of Raul's "moderate" "deep state" allies at the expense of Fidel's "hardliner"/"conservative" ones in the aftermath of the former's sad passing can only contribute to whatever nefarious schemes the US is patiently planning against its enduring geostrategic rival.